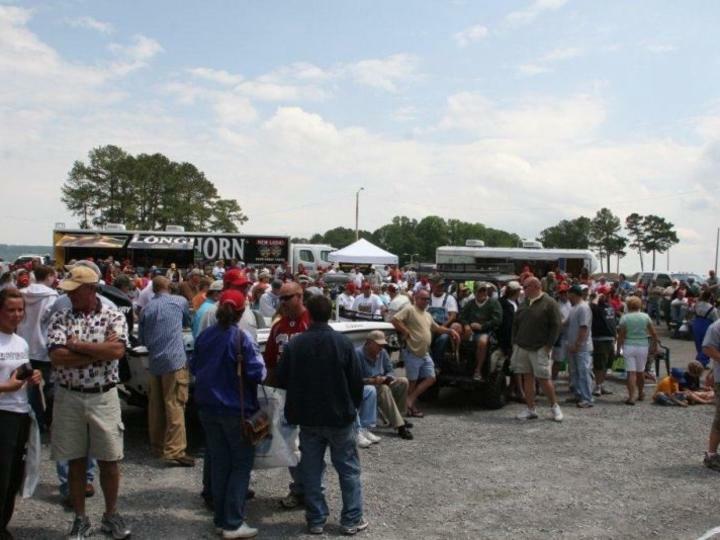 Decatur, Ala. – The Catfish Festival reels in plenty of free family fun each year on the banks of Lake Guntersville in Scottsboro, Ala. Now in its 19th year, the family-friendly event is centered on one of America’s favorite outdoor activities, fishing, and encourages anglers and non-anglers of all ages to attend. Along with fishing, additional activities include a catfish fry, arts and crafts, a car show, live music and more. Set for May 18, 2019, festivities kick off at 8 a.m. with the day wrapping up around 3 p.m. Presented by the Scottsboro Small Business Council, the Catfish Festival is held along the banks of Lake Guntersville in Jackson County Park. From 8 a.m. to noon, children are invited to bring their fishing rods to try to catch (and keep) as many catfish as they can for free. Fishing will take place at the boat ramp in the park and bait is provided. The car, truck, motorcycle and antique tractor show begins at 8 a.m. with arts and crafts, concessions and a free kids area offering inflatables and train rides opening at 9 a.m. Festival goers are encouraged to bring lawn chairs and enjoy the live entertainment provided by the Bowman’s. Festivalgoers can sink their teeth into the Shriner’s popular catfish plates beginning at 11 a.m. and there will be plenty of concession vendors offering typical festival food such as hamburgers, hot dogs, nachos, funnel cakes and snow cones. All activities take place at Jackson County Park located off of Highway 72 at 2302 County Park Road in Scottsboro. Admission is free. For more information, visit www.catfishfestival.net or call 256.259.1503 or 256.574.4305.